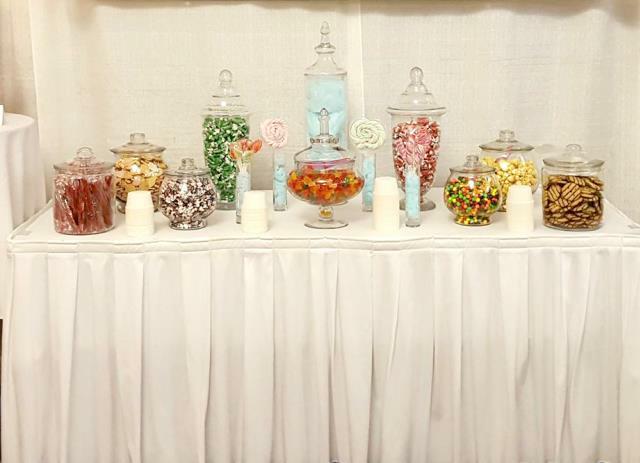 Wow your guests with a beautiful display of sweets and more! 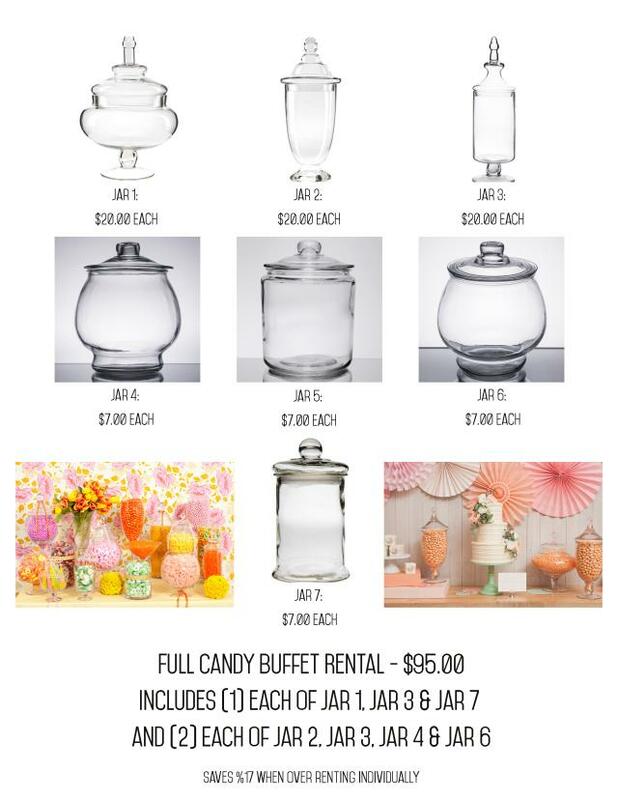 Our Candy Buffet Glassware rental includes 5 Apothecary style jars, 6 Cookie/Candy Jars and 6 Decorative Glassware pieces of your choice. Jars may also be rented individually. See associate for details.